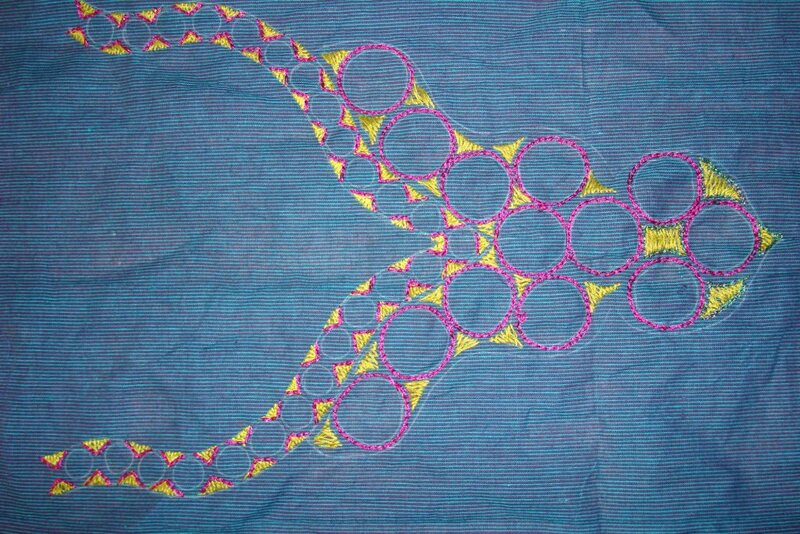 Another outline for mirrors were worked with pink and gold zari thread. 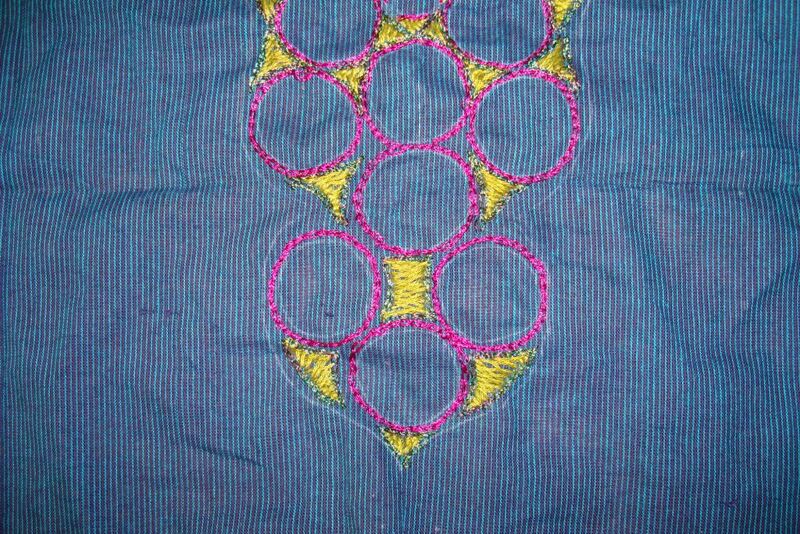 Yoke with large mirrors worked in four strands of blue cotton skein. 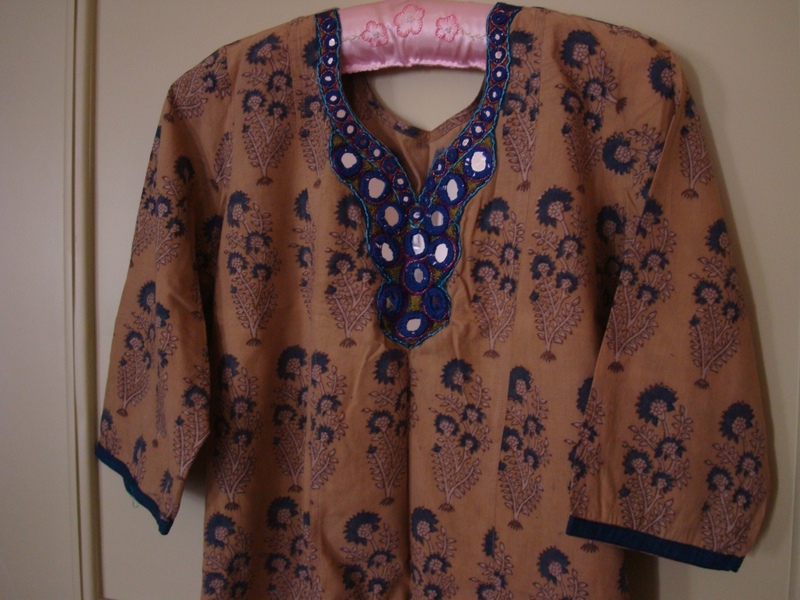 The small mirrors on the neckline were worked in two strands. Light blue cone thread was couched down around the neckline and yoke. The fabric looks different, because I wanted avoid my reflection, flash and light source from the window on the mirrors. 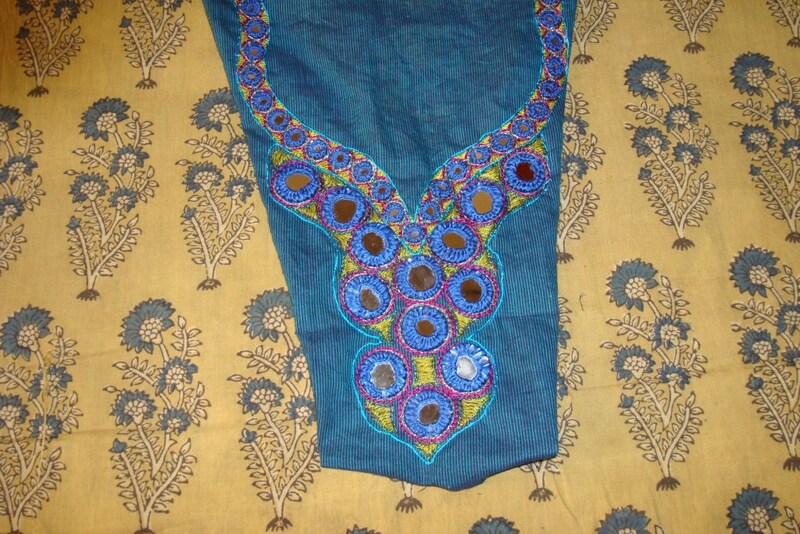 This tunic is ideal to be worn with blue jeans or leggings or salwars. 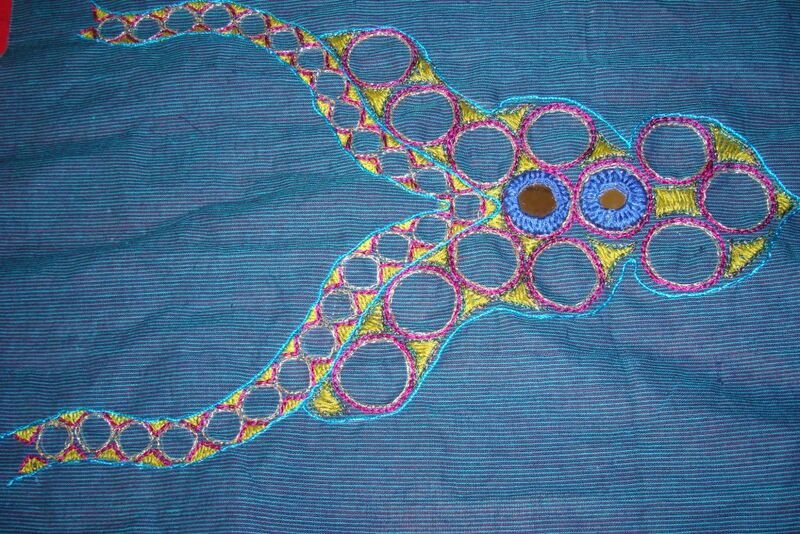 This tunic fabric is soft handloom cotton in mustard yellow colour and on it are large block printed floral prints in Indigo blue. 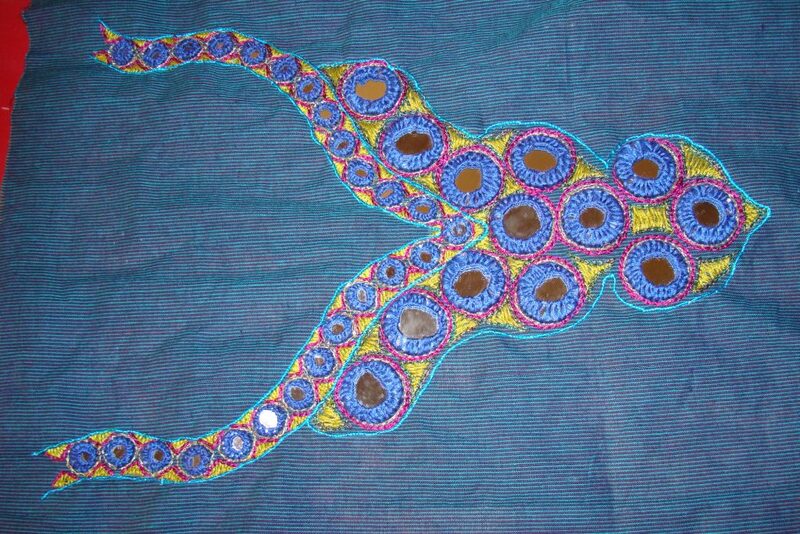 The idea was, to embroider neckline and yoke with large and medium round mirrors.This yoke fabric was indigo blue with small stripes in black, which was perfect. The spaces in between the mirror placements were embroidered in Cretan stitch filling in yellow colour of the tunic fabric. 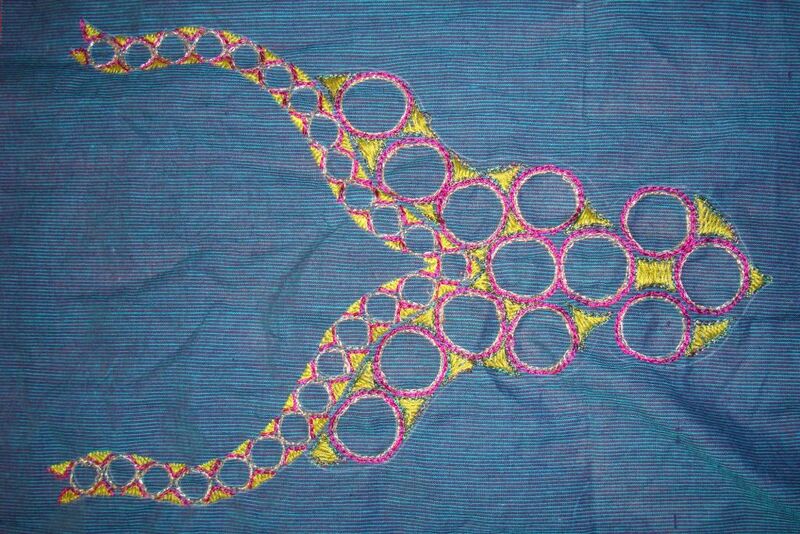 The yoke part- the Cretan fillings were outlined with zari[metallic] thread. 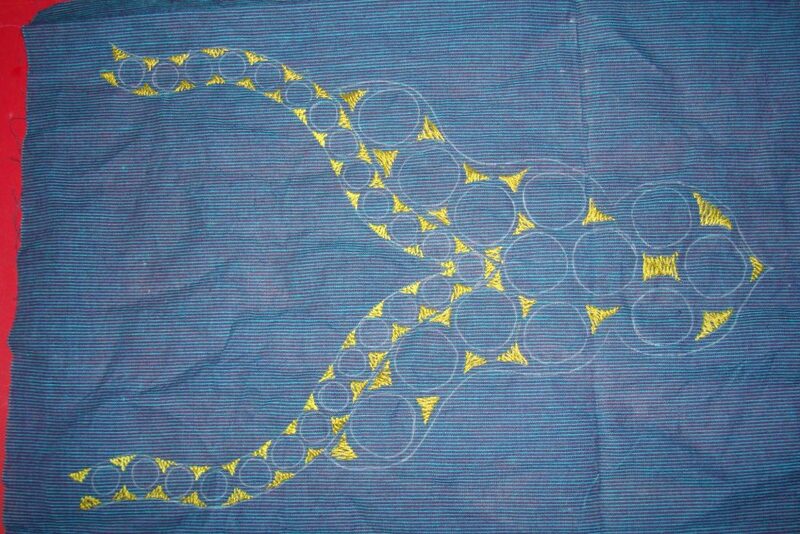 The mirror circles were also outlined in chain stitch with majenta cone thread.